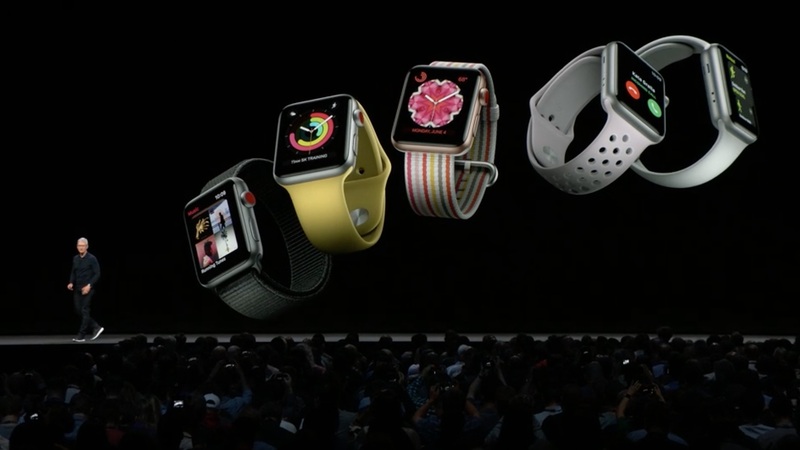 Apple’s upcoming watchOS 5 will provide more workout options, a new way to keep in touch, support for podcasts, and more. Here’s a quick rundown of the new features that were just announced at WWDC 2018. 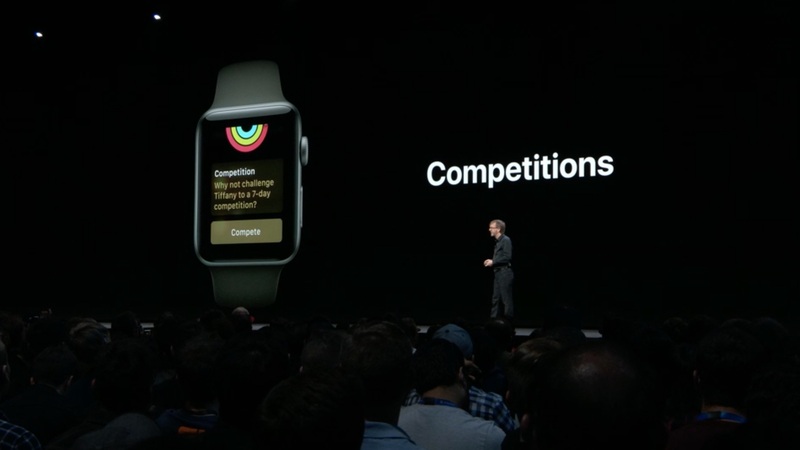 Competitive fitness enthusiasts will love the new ability to invite other Watch wears to compete in seven-day Activity competitions. 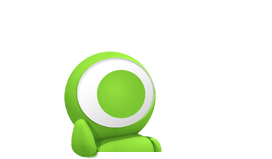 Friends who join in will get encouraging notifications, and winners will get special awards. 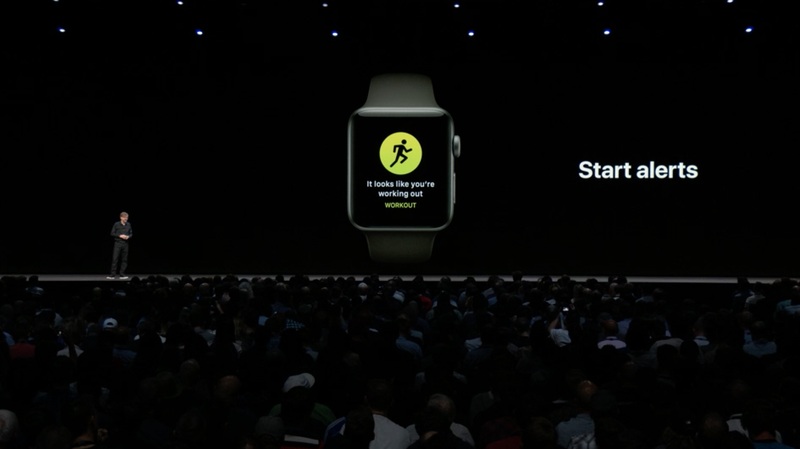 If you’ve ever felt the frustration of forgetting to log a workout, watchOS 5 gains the ability to auto-detect workouts. 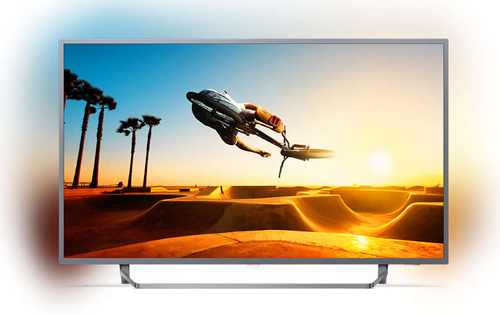 It’ll alert you if it thinks you’ve started one, and will even provide retroactive credit. If you forget to end the workout instead, the Watch can also ping you. Runners get a bumper crop of improvements, with a new cadence (steps per minute) metric. Plus, there’s a new pace alarm to alert runners if they fall behind or get ahead of their target pace. 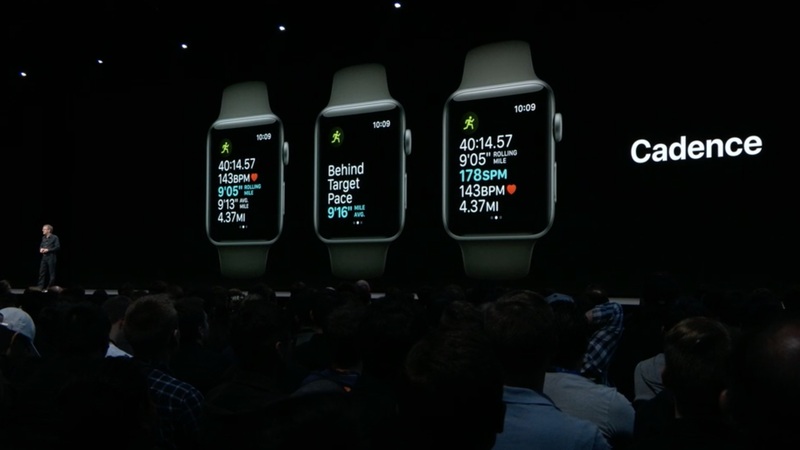 watchOS 5 introduces a new metric, ‘rolling mile pace,’ for runners to see their pace for the preceding mile in addition to their average or current pace. Last but not least, yogis and hikers can finally track their workouts! Like the other 12 workout types, you can now track calories burned and exercise minutes by doing asanas and walking through trails. 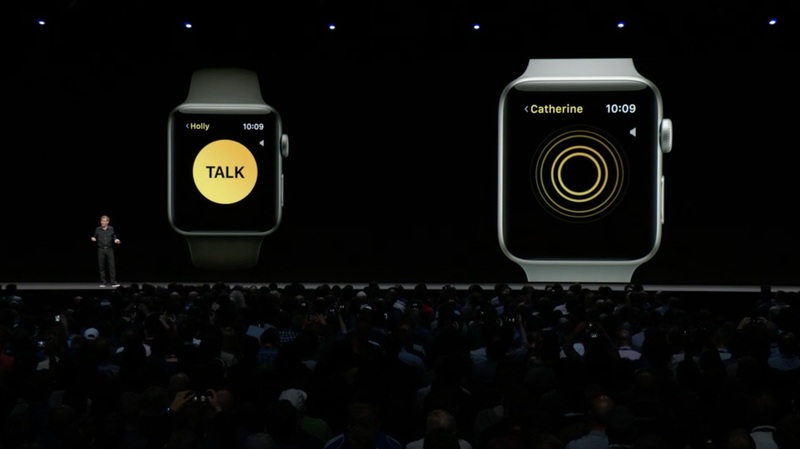 watchOS 5 introduces a new way to communicate, which Apple is calling Walkie-Talkie. 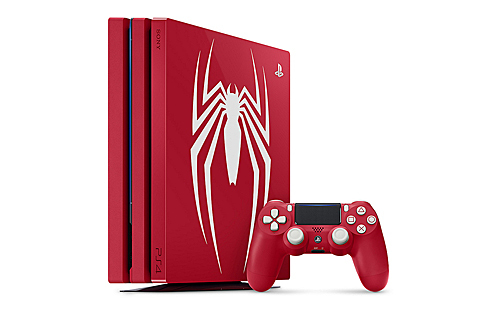 It looks like a way to send voice messages. 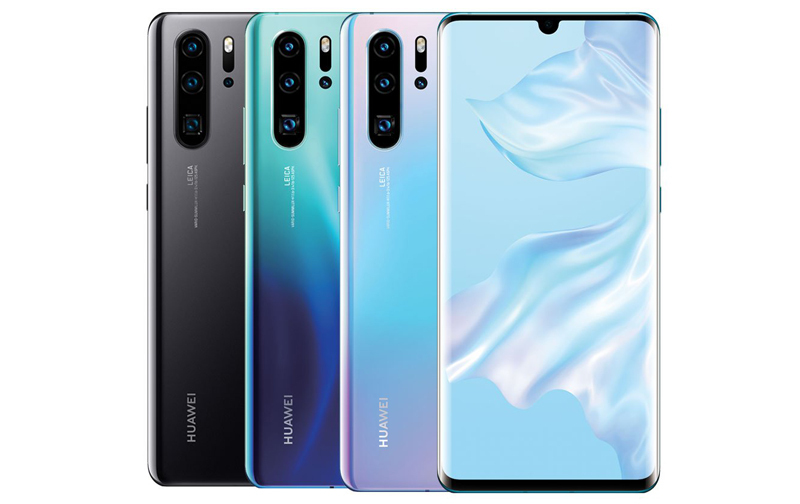 It works over Wi-Fi or cellular, so you still need a connection, unlike real walkie-talkies that communicate radio to radio. 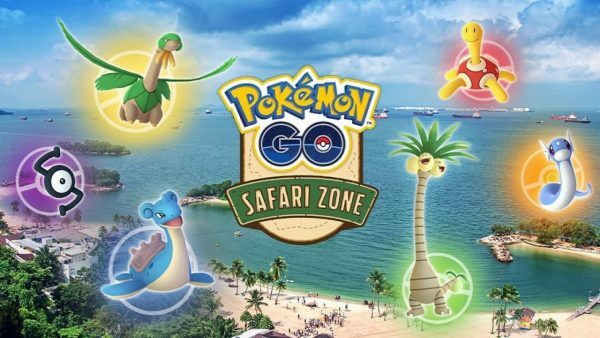 For some reason, Walkie-Talkie won’t be available in China, UAE or Pakistan. Updated: Apple has told us that Walkie-Talkie works in real time, so it’s not recorded audio that’s being sent over. With watchOS 5 you’ll be able to listen to podcasts with Apple Podcasts on Apple Watch and stream them using Siri. Music, audiobooks, and meditation sessions from apps like Pandora, Audible, and 10% Happier can be synced to Apple Watch for playback offline without the iPhone nearby. No mention of Spotify, unfortunately. Updated: There is a background audio API for watchOS 5 that allows third-party podcast apps to work on the Watch. The Siri watch face will work better on watchOS 5. Apple says it’ll offer more predictive and proactive shortcuts throughout the day based on what it learns about your daily activity. 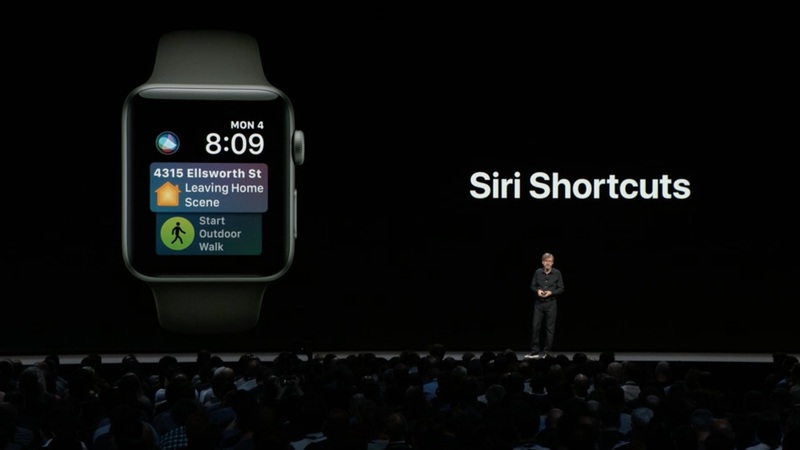 The Siri watch face can also display the new ‘shortcuts’ from iOS 12, and it can show actionable content from third-party apps too. 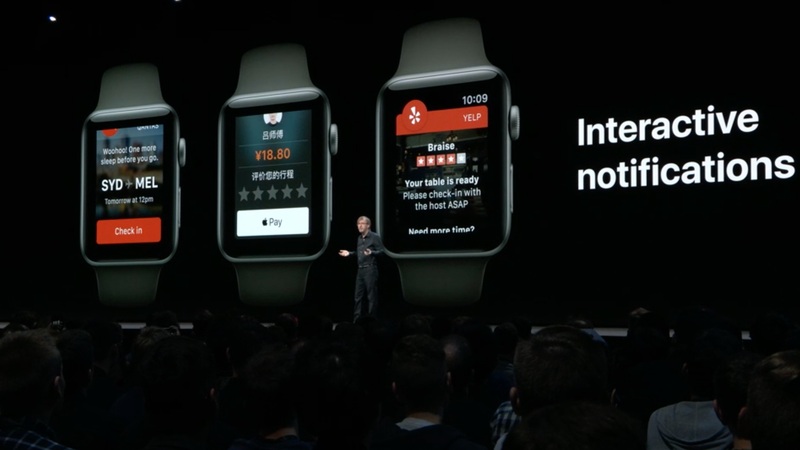 Plus, you’ll no longer need to say “Hey Siri” to activate Siri on the Watch. You just have to raise your wrist. Makes you wonder when the Watch knows you’re raising your wrist to talk to Siri or just raising your wrist. Like on iOS 12, multiple notifications from the same app will now be grouped together. Apple also demoed richer notifications on watchOS 5, like a button to pay for a ride using Apple Pay. It’s all done for the purpose of getting things done without having to open up the app. For example, a reservation app might show the option to change the time right from the notification itself. 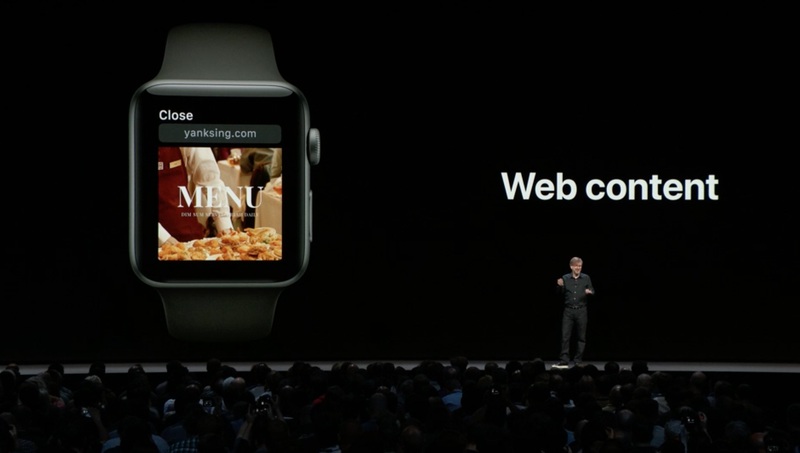 Plus, you can apparently view web content on the Watch as well? The demo didn’t show a standard browser on the Watch, but neatly optimized images and text from a website size just right for the Watch. 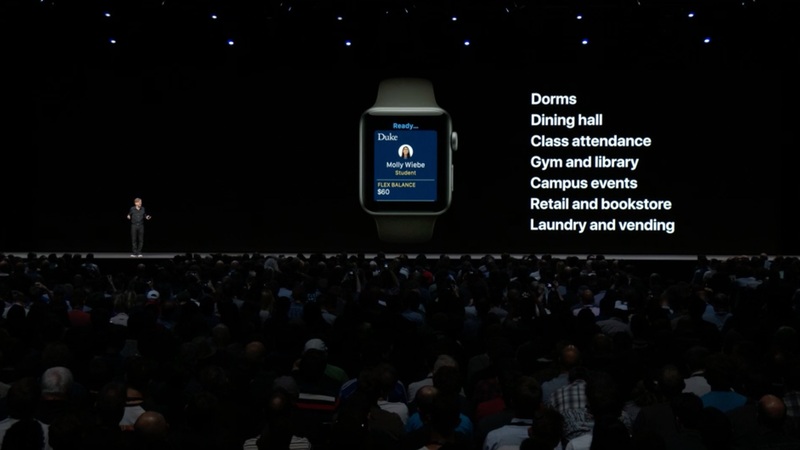 No really applicable to us (yet), but Apple Watch can replace Student ID cards in the US. The program will launch with universities like Duke, the University of Alabama and the University of Oklahoma. 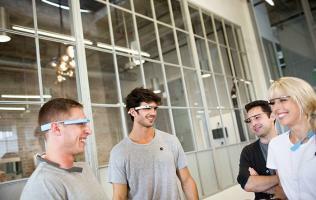 Frankly, I wouldn’t mind if Apple could replace employee ID cards too. 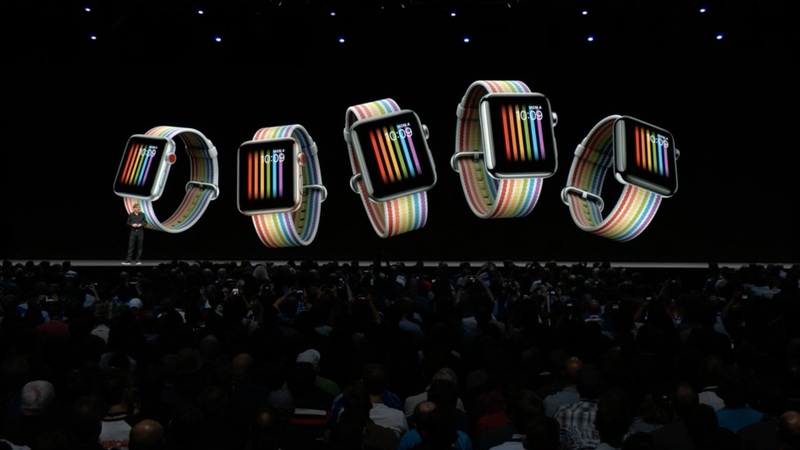 Apple introduced a new Pride band and watch face to celebrate Pride month. Watch users can download the Pride watch face now from the Face Gallery in the Apple Watch app. The Pride Edition Woven Nylon band gets a new rainbow stripe, with donations from purchases made to LGBTQ advocacy organizations. 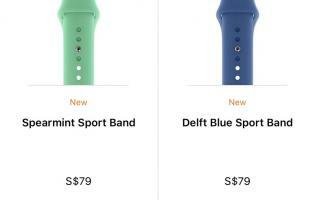 Apple also introduced new summer band colors in Marine Green, Peach, and Sky Blue. Where’re the third-party watch faces? It’s a solid list of new updates for watchOS, and it looks like runners will be happy to get new tools to track with. 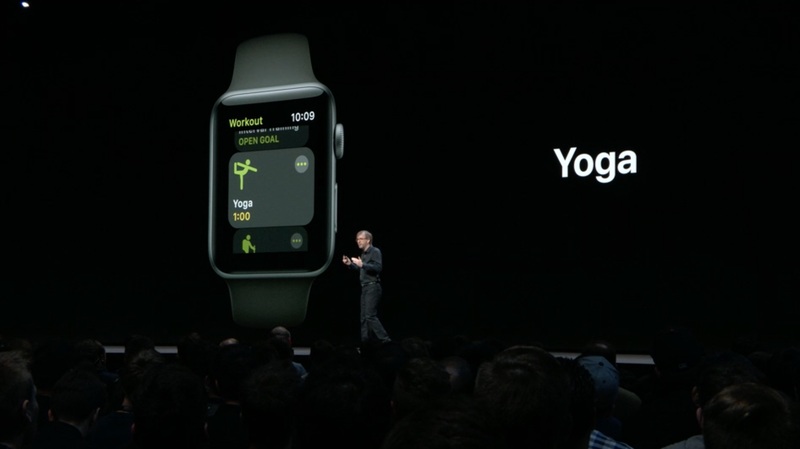 Automatic workout detection is neat, although other fitness trackers already have had the option. Walkie-Talkie looks like a nifty feature, although I’m not sure about a room full of people broadcasting voice messages from their wrists. There are still a few unanswered questions about it — like, can the messages be played through to AirPods instead of from the Watch’s speakers? And for years, people (including myself) have been hoping for third-party watch faces to open up on watchOS — and this year, Apple didn’t fail to disappoint again. Shucks. 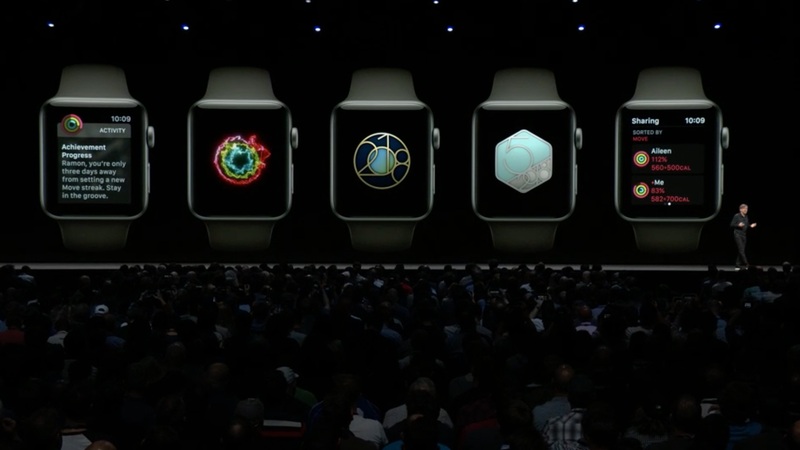 There’s always WWDC 2019.
watchOS 5 will be available for consumers this fall as a free update for Watch Series 1 and later. It requires iPhone 5s or later and iOS 12. 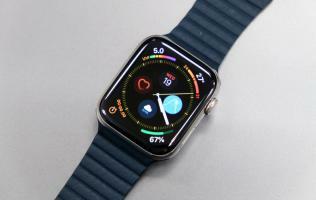 It won’t be available for the original Apple Watch that was released in 2015. 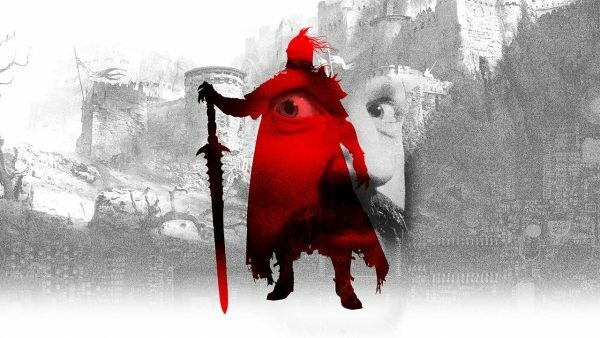 Developer betas are available to Apple Developer Program members starting today. 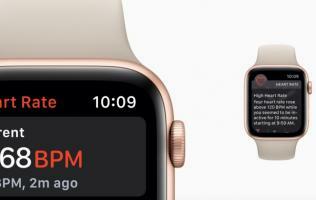 Update (13 September 2018): Apple has just announced that watchOS 5 will be rolling out as a free update on 17 September.